As I was sitting there eating one of my firm favourite sweet treats, it came to my attention that I've never blogged about it! 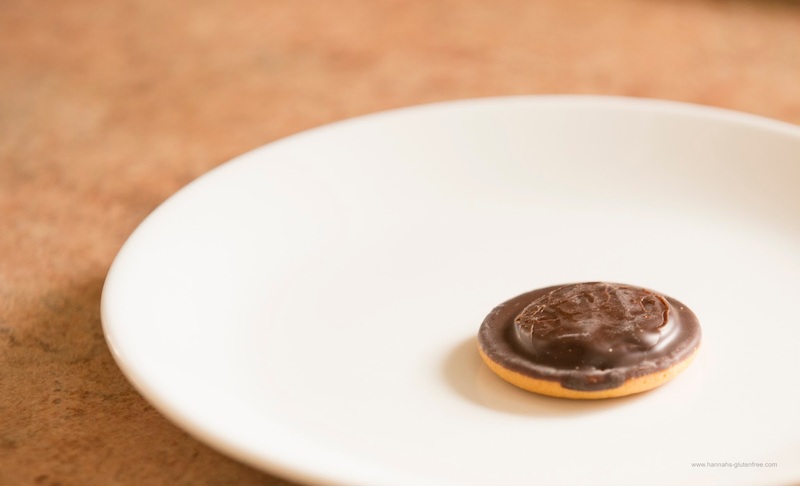 I have lost count of how many times I have bought the Kelkin Jaffa Cakes but I have yet to speak about them in this little corner of the internet. A box that contains 12 of these cakes are around the £2 mark, but can be found on offer quite often. Being suitable for veggies, this plus point means that more people can enjoy a jaffa cake as some of the orange jelly in mainstream ones are not vegetarian due to using gelatine. Described as a light sponge cake with a tangy orange centre covered in delicious dark chocolate, these cakes fit their description to a tee. Being a sponge there is a fear of it being quite dry, but this is not the case (unless you leave them out too long, like all cake). There is a good amount of jelly which is vividly bright orange and flavoured so fully. There is no mistaking the orange in this cake. I find that the chocolate too is delightful and richly dark but I would enjoy it if there were a little more, particularly over the jelly. I quite enjoy when you get a slight snap of chocolate as you are biting into a jaffa cake, which is something these do not provide. But other than that, on the whole this cake is well rounded. Free from wheat and gluten, these cakes are 100% suitable for coeliacs. There is no mention of milk in the ingredient list, although it warns that they may contain milk, nuts and lupin, so I would presume that those with an allergy to milk could possibly try these at their own risk. Like all things it's best to asses your own situation and reaction you may have when deciding whether to try a product, but I would advise if you have an allergy rather than an intolerance, or your intolerance is severe, it is best to not try these, just in case. Unfortunately if you are vegan, or suffer an egg or soya allergy, then this is definitely not the cake for you, as both egg and soya are in the ingredient list. I find these are the perfect magazine and coffee kind of cake and I would love to know what you think of them!